Count on the South Shore’s premier window treatment studio not only for expert consultation and installation of your draperies, shades, shutters, and blinds. 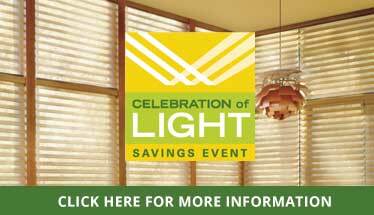 Let us renew your window coverings for much less than replacing them. Thanks to modern ultrasonic blind and shade cleaning, Creative Window Coverings’ efficient and courteous crew will make yours like new for a fraction of what you expect to pay. Blinds are great. Strategically placed in your windows, you get precise control over natural light, gain valued privacy, and enjoy their look and what it adds to your interior design. But let’s face it: keeping up with cleaning them on your own is a big pain. Who has time for that? Creative Window Coverings does! Over time, even the best chosen blinds and shades in the cleanest house get dirty. Never fear: our team uses high-frequency sound to blast months of accumulated grime and house dust from your window treatments with NO damage. The sonic waves make literally millions of bubbles you’d need a microscope to see. When these bubbles hit water, they implode. All these tiny implosions effectively clean your window treatments! Creative Window Coverings’ proven ultrasonic window treatment cleaning service pairs this sound-wave technology with a cleaning solution and good old-fashioned warm water to conquer even the most stubborn stains that sneak up on your shades and blinds. Everything from grime aggravated by cooking oil wafting through an under-vented room and yellow and brown nicotine from cigarette smoke to even bacteria has met its match in ultrasonic cleaning. Why Pay to Clean Your Window Treatments? Thorough blind and shade cleaning is more than a matter of aesthetics if someone in your home has allergies including asthma. We’ll be honest with you: you can’t keep up with cleaning your window treatments with a dustcloth and spray cleanser. For example, your blinds have scores of little moving parts, all dust collectors, which you can’t reach without damaging the window treatment. Not a problem for ultrasonic cleaning’s bubble technology. So for the ULTIMATE ultrasonic window treatment cleaning service, please contact our Oceanside, NY store. We serve Rockville Centre, Atlantic Beach, and the rest of Nassau County and the South Shore.